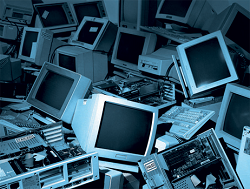 What should you do with your old computers? Are you familiar with EPA regulatory rules, HIPPA & GLB requirements? Sometimes the rules may change from state to state. Here are some questions for you to ponder. 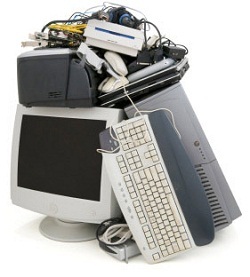 What can you do if the computer equipment you own is no longer usuable? Is it possible for your company to be audited by the EPA or FTC? Optimal Leasing LLC provides the best hands on solution to reduce your risk with an easy to track economic solution that provides security to your disposal challenges. Ask us about how we can help. What are some of your options? A complete data security plan, including how to transfer the equipment, hard drive sanitization and provision of certificates of destruction. Destruction of hard drives and recycling of equipment down to metals, petroleum and other reuseable byproducts, protecting you from future liability. Up-to-date returned asset information online. "We have been looking for a quality qualified Minority Leasing company for years. Can you hold on for moment while I go to my hotel room I have a major deal I like to see if you can fund. It's for 30M. Great job you got it done." "Optimal Leasing. This is a good company. This is the real deal. At least they have funding which is a whole lot more than we can say for a lot of others. I would highly recommend them. When I was a buyer I did several million with the company." "Since I have been here for the past 4 years Optimal Leasing has assembled the best package I have ever seen. Can we use your package as a symbol of how it should be done? I hope you don't have a patent on the process because we would like to use it as a model."